At its height, Renaissance Florence was a center of enormous wealth, power, and influence. A republican city-state funded by trade and banking, its often bloody political scene was dominated by rich mercantile families, the most famous of which were the Medici. 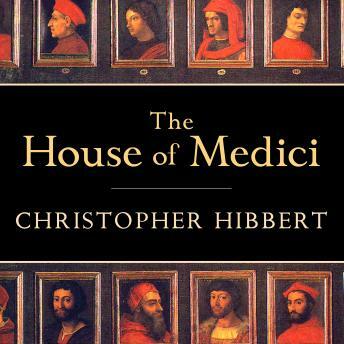 This enthralling book charts the family's huge influence on the political, economic and cultural history of Florence. Beginning in the early 1430s with the rise of the dynasty under the near-legendary Cosimo de Medici, it moves through their golden era as patrons of some of the most remarkable artists and architects of the Renaissance, to the era of the Medici Popes and Grand Dukes, Florence's slide into decay and bankruptcy, and the end, in 1737, of the Medici line.